Cadillac Commons and City Park evoke all the historical charm and sophistication that makes our town unique. The Eggle Fountain and Shay Locomotive at City Park are among the most requested locations for wedding photos in downtown Cadillac. The causeway bridge on Lake Cadillac is also a popular spot for wedding photos. One block from downtown Cadillac, the bridge is located on Chestnut Street near the Cadillac Junior High and High School building. 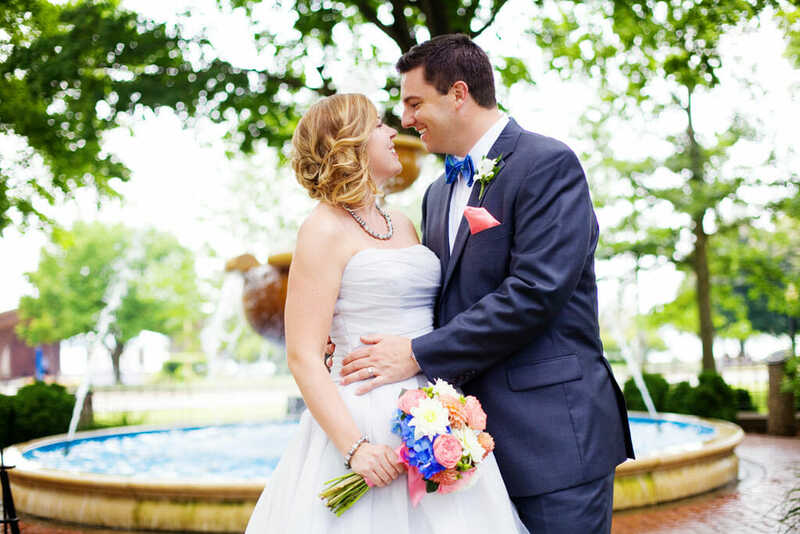 The area offers convenient parking for wedding parties and a number of options for photos including the Lake Cadillac Walk\Bike Path and Cadillac Sound Garden. The Presbyterian Church in Cadillac has its roots in the early lumbering days of Clam Lake (present Cadillac). 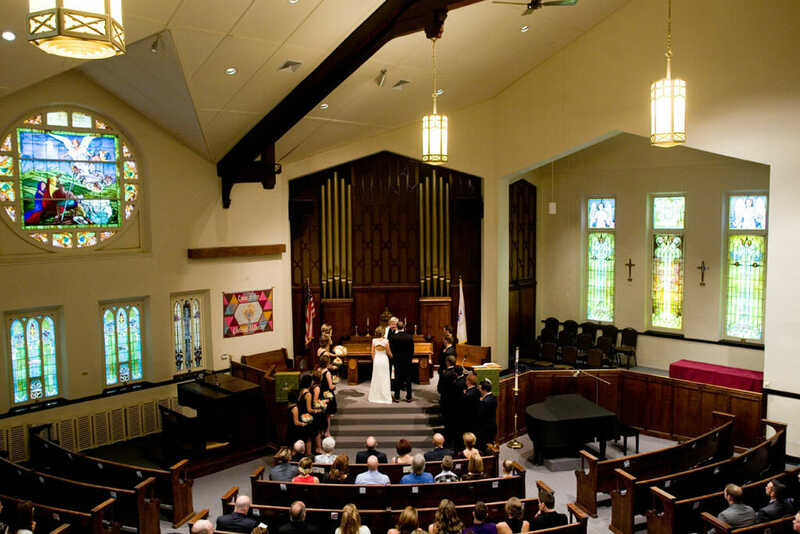 Among all of the historical churches in downtown Cadillac, First Presbyterian is the oldest; featuring its original pews, a glorious pipe organ, and beautiful stained glass windows. 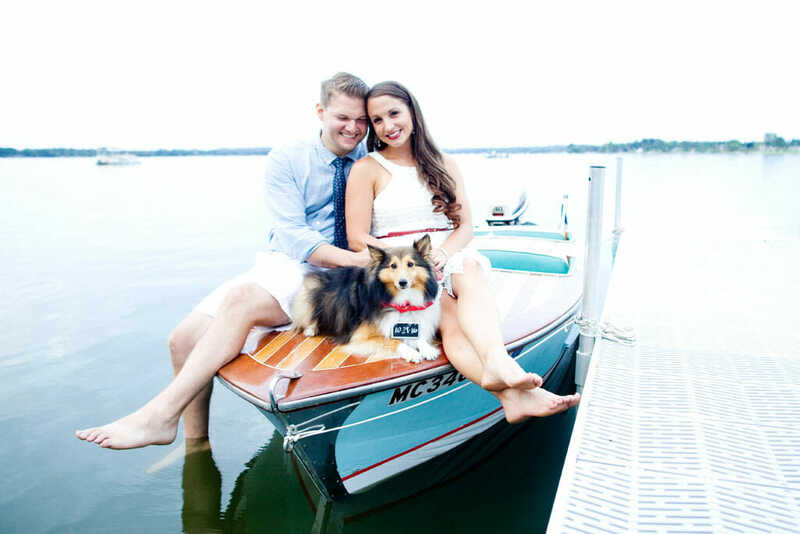 Adventurous couples with boat access should seriously consider a bridal shoot or engagement session on or along the shorelines one of our two beautiful lakes. For added romance factor plan for sunset photos! The Cadillac DNR Unit manages over 235 thousand acres of state forest lands in Wexford-Missaukee and neighboring Counties. Accessible from state parks and permissive private land owners the tranquil setting of the North Country woods will have you relaxed and smiling! 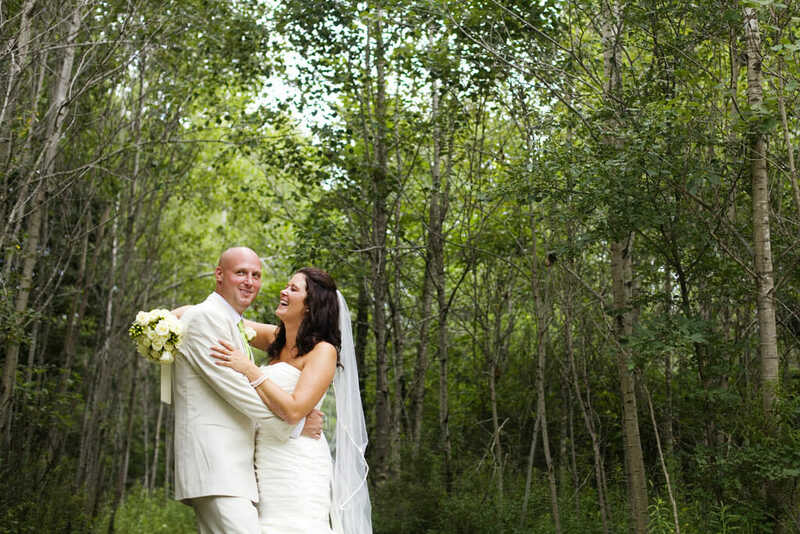 If you’re seeking a picturesque field or meadow for your wedding photos the Cadillac area has many to choose from. Whether at a private residence (if you happen to know or have permission from the land owner) or at one of our popular wedding venues, you can’t go wrong with a backdrop full of seasonal wildflowers and other beautiful vegetation.  RELATED: EXPLORE TOP COUPLES WEEKEND TRIP IDEAS IN CADILLAC! Fox Hill Event Center is located on Mackinaw Trail and boasts elegant open rafters, a crisp, warmly lit interior, stone court yard with pergola and a small waterfall , along with acres of scenic, manicured landscape for a lovely variety of wedding photo backdrops. The panoramic view of the Eldorado Golf Course from Cadillac Grill is exceptional. Elevated tees lead to large bent grass fairways, flowering wetlands, and a meticulously maintained course. 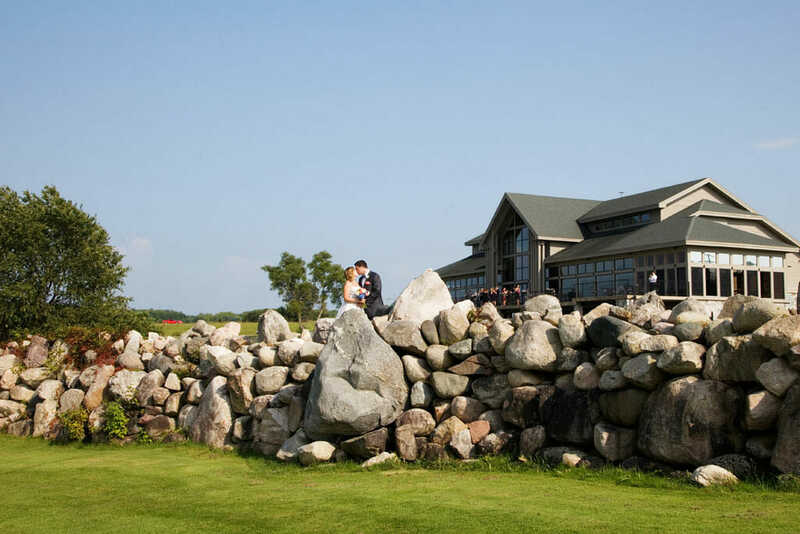 Recently described as “the cathedral of golf”, the Eldorado Golf Course is a spectacular location for wedding photos. 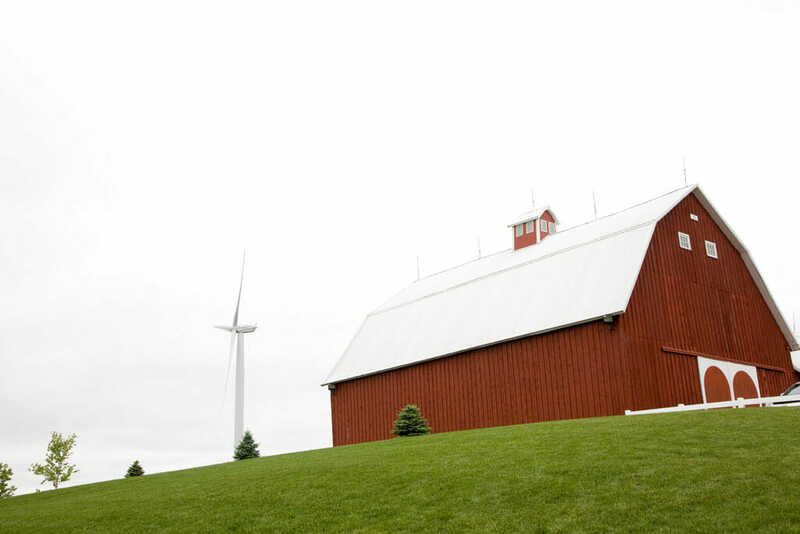 Rolling green hills and wide open sky surround this gorgeous centennial farm in rural McBain, Michigan. 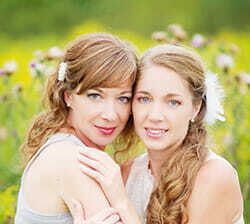 Stahl Event Barn supplies a rustic, country atmosphere and endless possibilities for fantastic wedding photos. 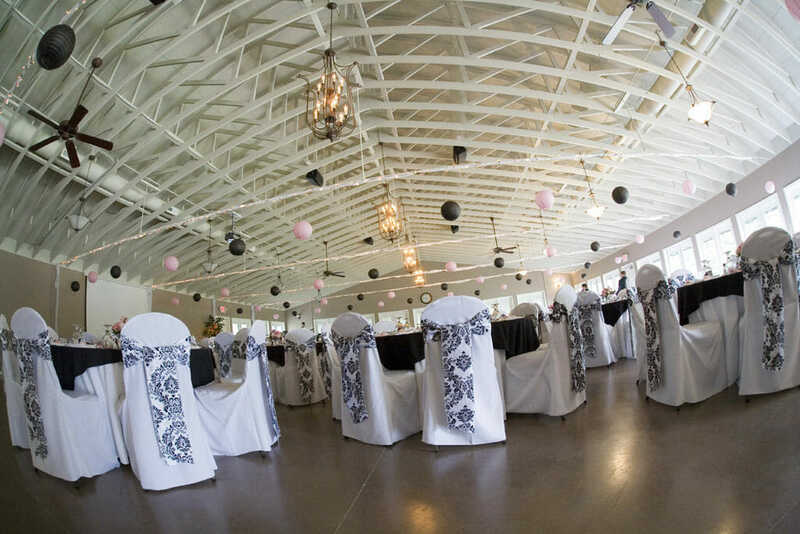 Located just 12 miles west of Cadillac, Caberfae Peaks Resort is one of the most versatile wedding venues in the area. 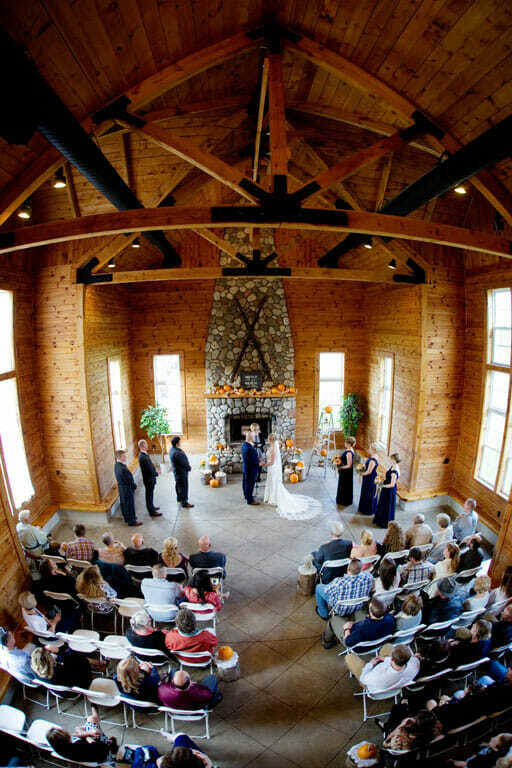 With its two story stone fireplace, Blackmer Day Lodge accommodates up to 500 guests and delivers a relaxed homespun atmosphere for indoor ceremonies and receptions. For outdoor events, Caberfae’s sprawling terrain offers rolling hills, grassy fields and the exceptional beauty of the Manistee National Forest. Sisters Studio: Specializing in Northern Michigan weddings and portraits for over 15 years we strive to provide the most positive experience possible and a collection of fresh, genuine, and fun-to-look-at photos that can be cherished for a lifetime.